Transcribed from a newspaper article of unknown origin. Pfc. 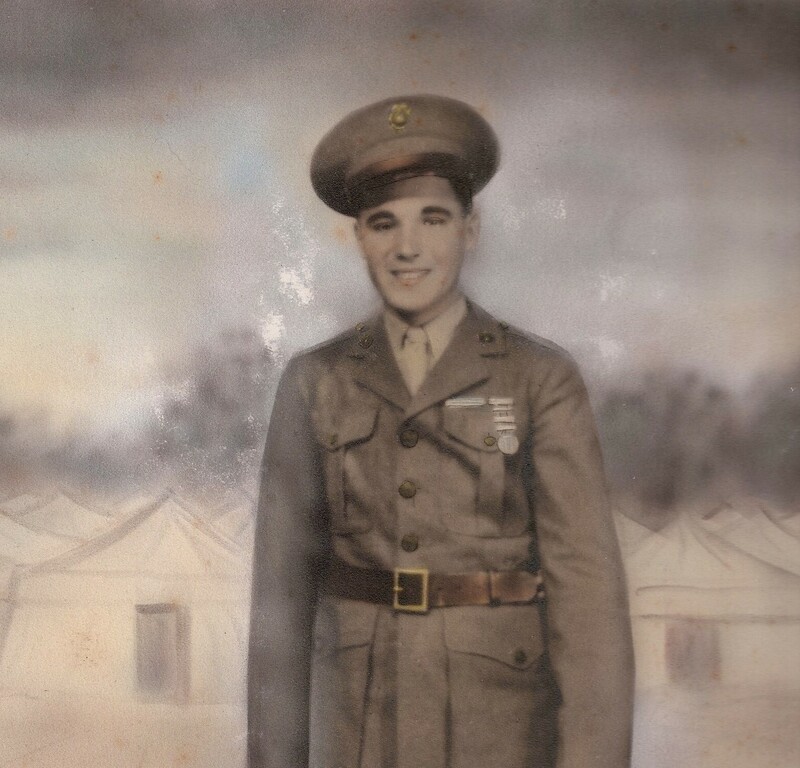 Richard Barella, 18-year-old son of Mr. and Mrs. Clorindo Barella, Bakerville, was killed in action with the Marines at Iwo Jima Mr. 11, according to a navy department telegram to his family. Pfc. Barella entered the Marines on his 17th birthday—Sept. 14, 1943—and started Marine training Oct. 23 of that year. He was assigned to foreign duty Aug. 1, 1944. He was born in Bakerville Sept. 14, 1926 and was educated at the Bakerville School and at Torrington high school. He was employed at the Excelsior plant of the Torrington co. before entering the Marines. His survivors, in addition to his parents are three brothers, Pfc. Frank Barella who is with the army air forces in Naples, Fla., Ernest and Clorindo Barella, jr.; and four sisters, Catherine, Theresa, Emma and Rose Marie Barella. A solemn high Mass of equiem for the repose of his soul will be celebrated Friday morning at 8:30 o'clock at St. Peter's church. Funeral Services were held Friday at the Beverly National cemetery in New Jersey for Pfc. Richard Barella of Bakerville, who was killed at Iwo Jima March 11, 1945 while serving with the U. S. Marine Corps. The services were Pfc. Barella dn three other Marines who were awarded Silver Star medals for conspicuous gallantry in action. Military honors were accorded. Among those who attended the services were Mr. and Mrs. Clorindo Barella, parents of the deceased; Clorindo Barella, jr., Rose Marie Barella, Emma Barella, Theresa Barella, Catherine Barella, Frank Barella, Mr. and Mrs. Baptista Barella, Mrs. Emma Zoli and Norman Cervilla.